Happy 4th of July!! I have two bonus posts in store this weekend in honor of the holiday. 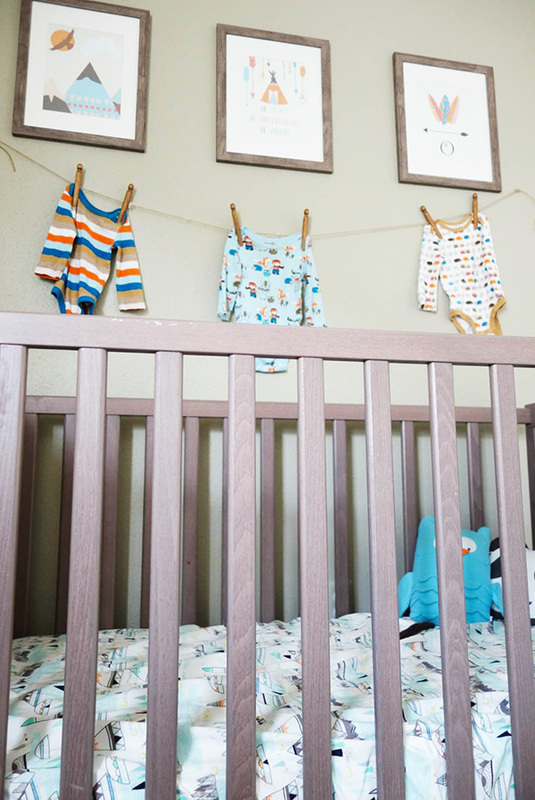 I’m starting the weekend with a baby themed post featuring my sister Melanie’s baby shower AND a baby-themed edition of “Bloggers at Home“ featuring mom-blogger Jaclyn Kent of Beauty and the Binky. 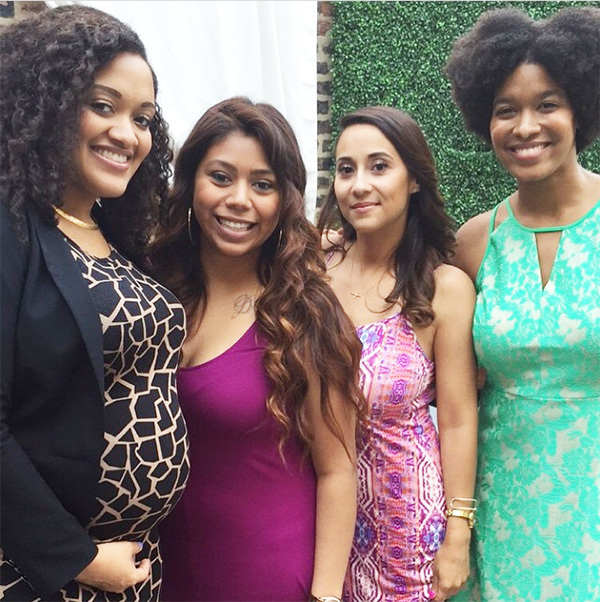 My sister Melanie’s baby shower was such a fun celebration! It was hosted in my hometown of Chicago on the rooftop of fantastic restaurant, Epic, located downtown. 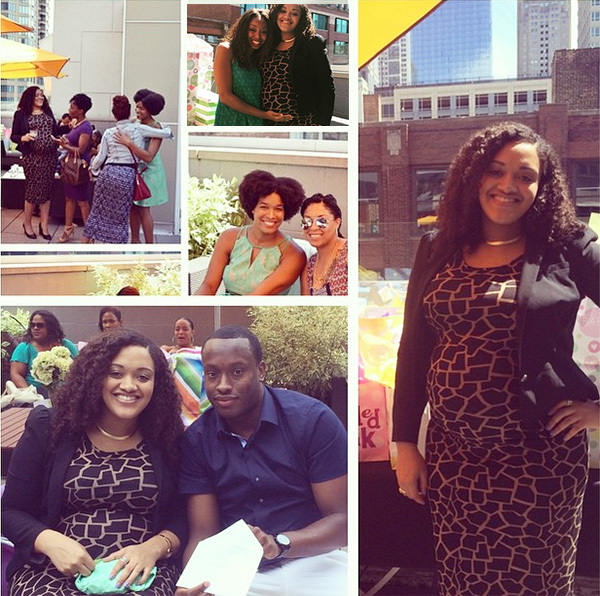 The afternoon was made complete with sunny weather, just for my sister’s special day! If you know Chicago, then you know the weather is very unpredictable, so real summer weather was quite the treat. 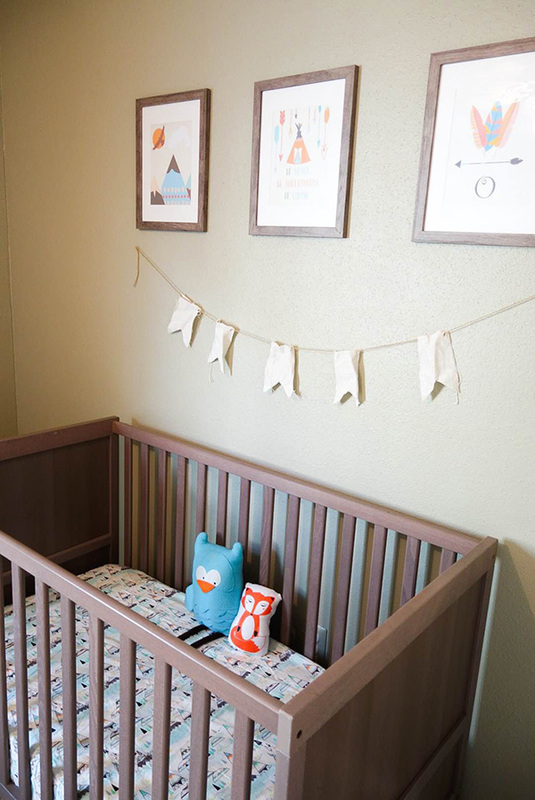 We can’t wait to meet baby Sophie! Congratulations to Melanie and Shane!! 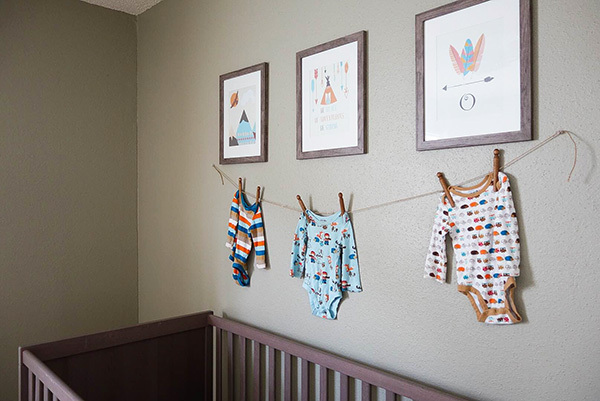 And keeping with the baby trend, now for a baby-themed edition of “Bloggers at Home”! 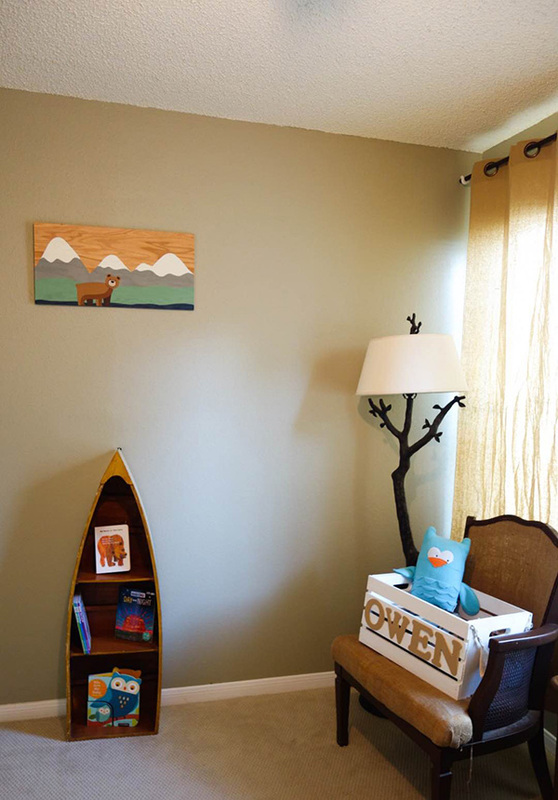 Jacquin: Thanks for giving me a peek inside of your family friendly home! 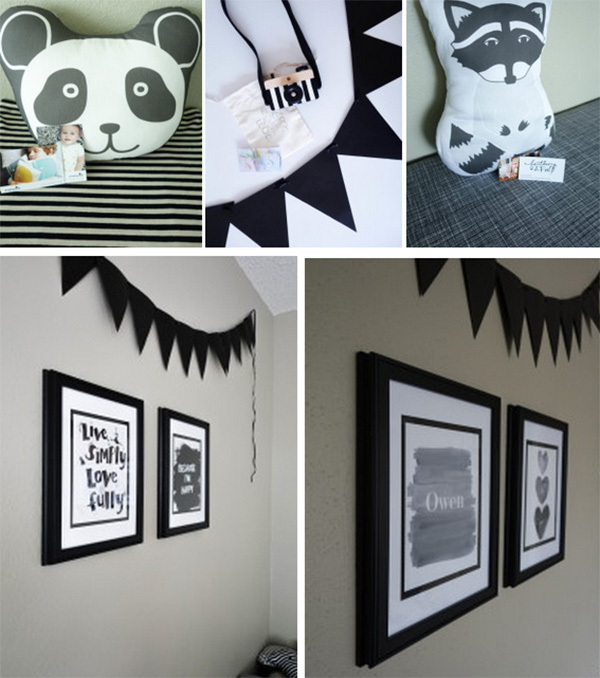 I’m excited to see how you’ve decorated your son’s nursery and playroom. Please introduce yourself and your blog. Jaclyn: Hello! I’m Jaclyn from Beauty and the Binky. I’m a young, fashionable mom. I never cook, but I do get dressed every day. I wrote the book on night wakings, I graduated from the University of Pumping at Work, and I built a 30 pound child with my breasts alone. …all while wearing a pencil skirt and heels. I admit that I’m not “good” at anything, I just try really hard. I believe a little effort goes a long way. We just bought our first house and we’ve been working to make it a home! Please come inside! 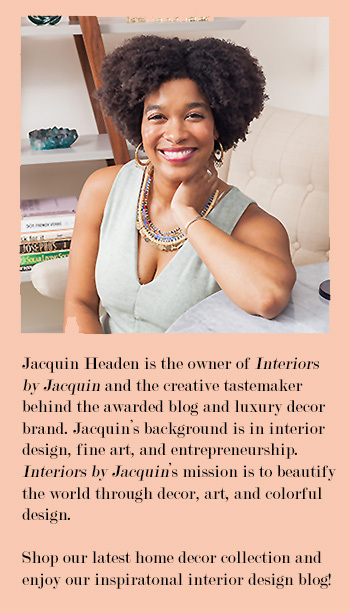 Jacquin: How would you describe your personal style? Jaclyn: My personal style is a mix between comfort and classic, chic pieces. I think comfort is really important (especially for a young mom), but I like to add the perfect accessories to take an outfit to the next level. Jacquin: What is your favorite thing about blogging? 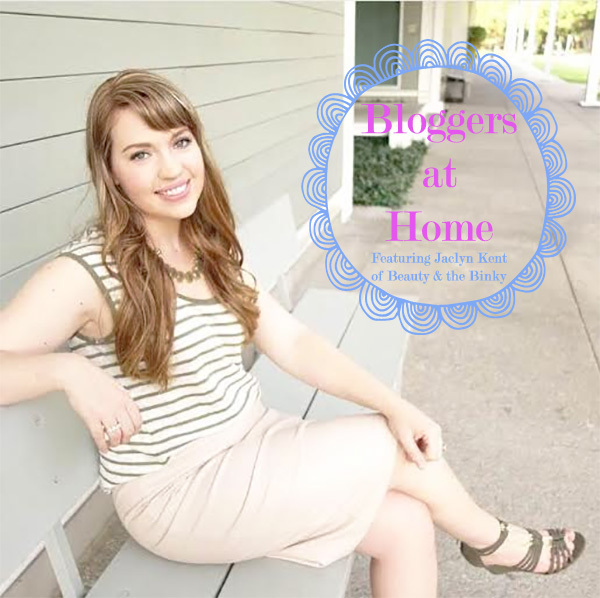 Jaclyn: My favorite thing about blogging is the community that I have been so graciously welcomed into! I imagined blogging as a one-sided hobby, where I blab out to the great abyss and get no response. Instead, I was lovingly attacked with support and advice! Building blogging friendships has been my all-time favorite part of blogging. I’ve actually met a few bloggers that I followed before I even blogged and I’ll be meeting more blog besties in September! Jacquin: What’s your favorite family activity? Jaclyn: Our favorite family activity is to go for an evening walk or take a bath. I know these are pretty tame activities and may sound boring, but we really cherish our calm moments together. My husband and I are both very excitable people, so finding a peaceful moment is really special to us. Jacquin: How do you like to unwind from busy day-to-day life and mom duties? Jaclyn: I like to unwind by enjoying my hobbies of blogging and reading. I have to be honest, I don’t have any “mom” duties, we just have family duties! 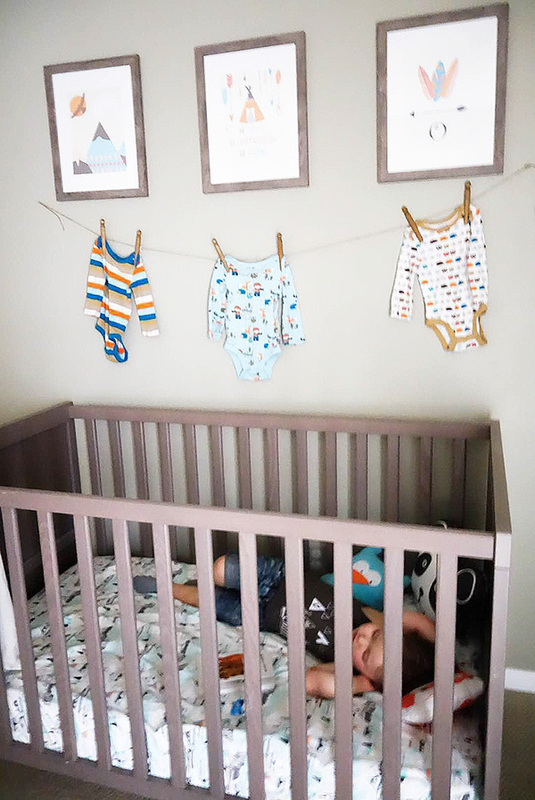 My husband usually gets our son settled and starts dinner, while I spend time blogging and unwinding. We all eat dinner together, read stories with our son, and then put him to sleep together. I think our evening routine is a good way to unwind, too! 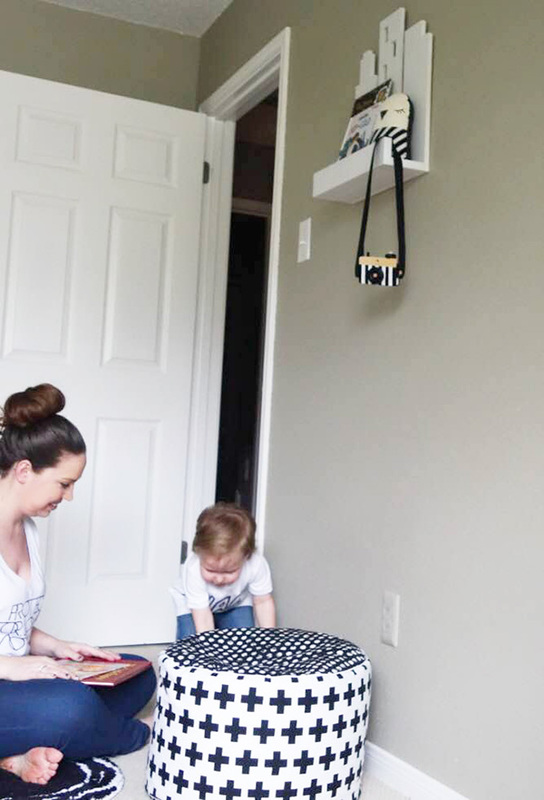 Stop by Beauty and the Binky blog and say hello to Jaclyn! Also, stay tuned for one last weekend post tomorrow. Happy weekend!